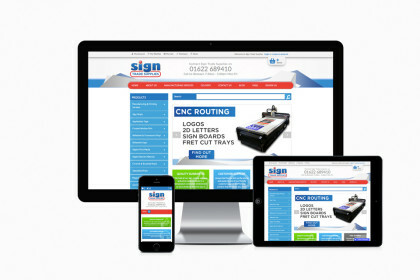 With no existing online presence, Sign Trade Supplies tasked us with designing and building a full e-commerce website for them to help generate enquiries. It was important to Sign Trade Supplies that the website highlighted their main USPs of free delivery and excellent range of products and also featured an easy to use search function. 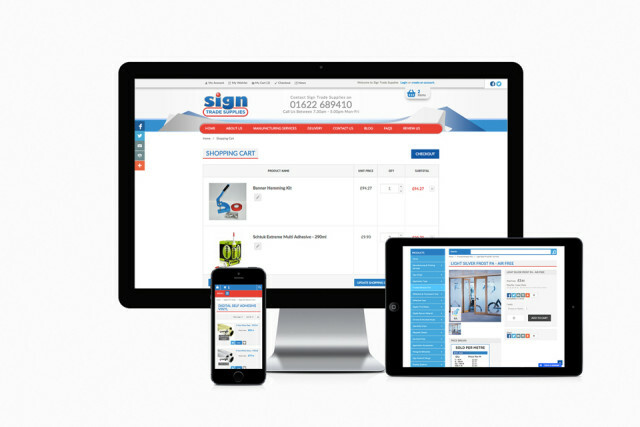 The site is built using a Magento framework and makes use of features such as multi-buy discount codes and related products. The site is also fully responsive, to allow customers to access instant prices on mobile devices.